In Indianapolis, there are 11 school districts. I live in the Metropolitan School District of Washington Township. A recent article about the large gap between white and black students in high-ability programs referred to Washington Township as one of the wealthiest districts in Indy. Ten years ago when my husband and I were searching for a home, we weren’t thinking about the income of the residents in each school district. We were looking for a school district where we believed most of the schools were good and the district was diverse. My husband and I were both part of desegregation busing in Indianapolis, and we know all too well what it feels like to be the only black kid in the class. We did not want that for our children. We looked for a home in Lawrence Township, which happened to be the school district we were bused into, Washington Township, and Pike Township. After almost a year of searching, we finally agreed on a home in Washington Township. Even though we were assured these were good schools for all kids, we quickly discovered that not all teachers were prepared to work with students from all backgrounds. The year before my sons entered school in Washington Township, I attended a teacher professional development at their future elementary school. Since I was there as a teacher, I didn’t mention that my sons would be attending in the fall. The way some teachers, who identified themselves as teaching in my sons’ school, spoke about black children and their parents made my blood boil. “They’re lazy,” some said. “This training isn’t going to help us deal with those kids.” It doesn’t matter whether you are a rich or poor parent of color because, many times, we are all seen the same. Unfortunately, a few of those teachers still work at my sons’ school today. According to my sources, they’re still heavy-handed in their discipline of children of color, especially black children, and don’t believe they can achieve or improve academically. High School 7:20 a.m. – 2:35 p.m. Elementary School 8:30 a.m – 3:30 p.m.
Middle School 9:20 a.m. – 4:20 p.m.
As an educator, I believe we need to consult research before we make decisions; however, we also need to make sure the benefits from those decisions outweigh any negative impacts, barriers, or sacrifices families would have to make. The district also provided an article by the American Psychological Association that supports later start times. As all articles should do when trying to persuade you of a viewpoint, this one also addressed the other side of the issue, explaining why some parents are against the changes. ● Increased cost, congestion, and delays associated with having buses on the road later in the morning. ● Inability of parents to rely on older children for afternoon childcare, as the lower schools would have effectively switched schedules with the upper schools. ● Scheduling conflicts for intervarsity/interscholastic events with neighboring jurisdictions that have earlier dismissal. These issues are surmountable and, with adequate planning, can be minimized or completely eliminated, the article states. These issues are surmountable. That depends who you ask. For the previous three school years, I worked for Indianapolis Public Schools. Last school year, they suggested similar changes. Parents and students shared the concerns listed by the APA. Indianapolis school leaders listened to parents and did not make the changes. Even though I agree with Emily Richmond’s viewpoint in her article “Why School Should Start Later in the Morning,” when she shares that “everybody learns better when they’re awake,” I assert that some challenges are not surmountable by families. Even with the elementary start times where they are now, I know some students from my children’s school do not go to afterschool care because their parents or guardians cannot afford it. They wander around the neighborhood or sit inside the house alone until an adult arrives home from work. If the elementary start time shifts earlier, they will be alone for a longer period of time. I ended up in a Facebook conversation with parents from my district, and many people pointed out their concerns about how dark it would be in the morning during some parts of the year. This would not be surmountable. What worries me is that many of the neighborhoods in my district don’t have sidewalks for students to stand on to wait for the bus in that early morning darkness. Even if I overlooked all of that, my main issue remains that I’m not convinced that this change will help improve academic outcomes for black students in the district where I live and across the state of Indiana. ● The dropout rate for black students is 5 percent higher than the dropout rate for white students. ● Black students in 2016 scored 181 points less on the SAT than white students. ● When looking at IREAD (Indiana’s statewide reading assessment for third-graders) data, black students fall the farthest behind, with an average gap of 11 percentage points below the state average passing rate, and 14 percentage points below white students’ passing rate. ● When looking at ISTEP (Indiana’s statewide standardized test) data, for every one black student who is proficient in math and ELA, there are three who are not. The study on school hours began in 2017 due to extensive research that continues to provide evidence that adolescent students perform better if their school day starts later in the day. As students mature into the adolescent stage, their sleep/wake cycle changes. Students in this stage of life tend to be more alert, focus better, and make better decisions if/when their academic day starts as near to 8:30 AM as possible. In addition to behavioral benefits, studies indicate that fewer automobile accidents involving teenage drivers occur if the students are on the road later in the day. 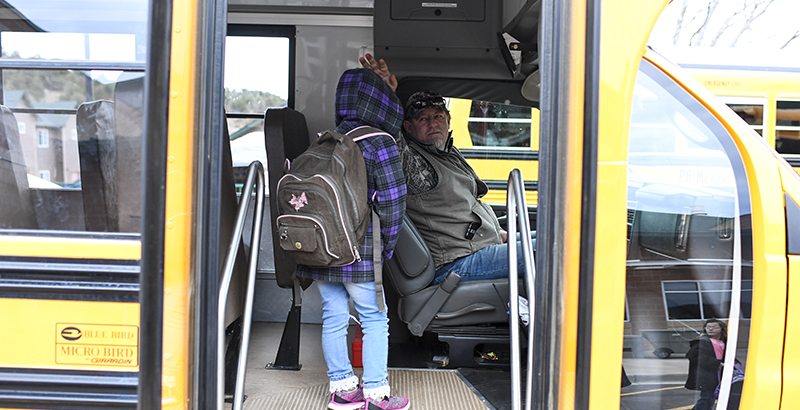 Based on community feedback however and continued complexities with transportation, we would like to continue the study on school hours in 2019 … Therefore, the school hours for the 2019-20 school year will remain the same as current for all levels. This only means the district is delaying making a change and putting more energy into trying to make this work, but where is the study that states that changing start and end times is going to improve the Indiana black student achievement data? Again, I ask, is this the most important use of school districts’ time and resources? It doesn’t matter what time the school day starts if students are failing during the time school is in session.